CLAYTON, Mo. 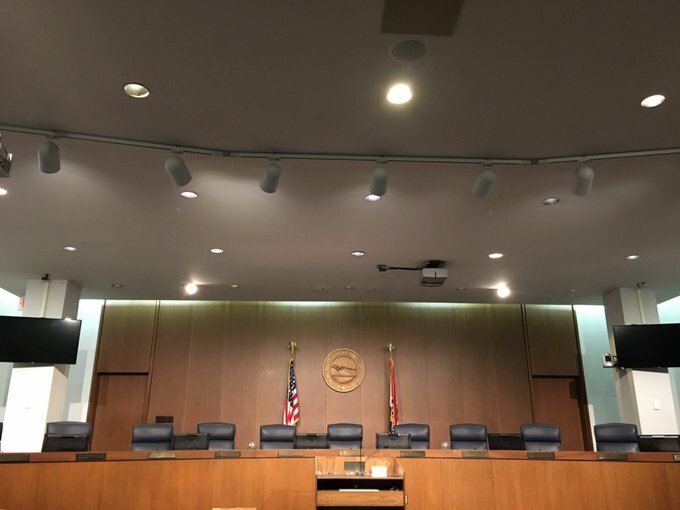 – The St. Louis County Council met on Monday, Aug. 13th at 2 p.m. Among many matters, Proposition P was a big focus for the Public Forum speakers. Speakers came to the County Council meeting to ask the Council Members to find a solution to the law that is not allowing Proposition P funds to go to Corrections Medicine in order to help them with the pay and staffing of their nurses. Proposition P comes from tax funds to improve police services and public safety. During Public Forum, four speakers were present to discuss the matter with Proposition P and working for justice services. First to speak was Lisa Wellman, a Corrections Medical Nurse for the last 7 years. Lisa explained that she had originally applied to be a nurse in the jail because of the pay and benefits. Within the last month full-time, long-term employees have quit and gone on to SSM because of the pay and benefits package. “I personally don’t care where the money comes from right now,” Wellman said, “I’m just begging for your help.” Wellman told the Council Members to stop focusing on what department the nurses are under and instead focus on what their job duties are. Each speaker asked the St. Louis County Council Members to reconsider the legislation passed. They have waited months for increase and compensation, which they were allegedly promised, but still have not seen.